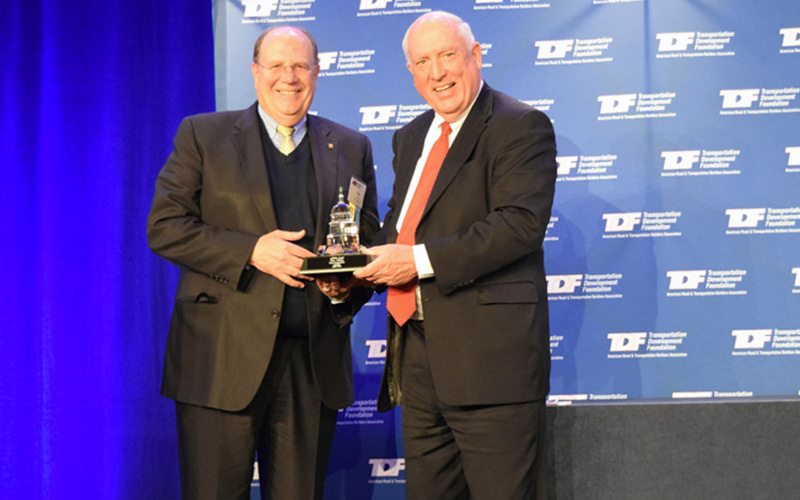 Ron DeFeo, chairman and chief executive officer of Terex Corp. in Westport, Connecticut, is the recipient of ARTBA’s highest honor—the 2014 “ARTBA Award.” It was presented April 14 during the association’s Federal Issues Program in Washington, D.C. Established in 1960, the “ARTBA Award” recognizes individuals for outstanding contributions that have advanced the broad goals of the association. Over the years, “ARTBA Award” recipients have included several governors, more than 25 U.S. senators or representatives, two U.S. secretaries of transportation and dozens of top leaders and executives from government and the private sector of the transportation construction industry. DeFeo was honored for his nearly 25 years of distinguished service and professional success at Terex, and his outstanding volunteer industry leadership as a long-time member of the ARTBA Executive Committee, a past chair (2003-04) of the Association of Equipment Manufacturers (AEM), and past chair (1998) of the Construction Industry Manufacturers Association (CIMA). DeFeo’s unique role in planning and executing the 2002 merger of the two major construction equipment manufacturing associations (CIMA and the Equipment Manufacturers Institute) is another example of his storied business volunteer career. 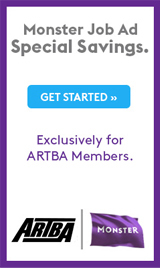 Finally, his financial support of ARTBA’s “Transportation Makes America Work” advocacy communications and grassroots program has been critical to the association’s ability to continue pressing for congressional action on a permanent Highway Trust Fund fix and multi-year transportation bill.